I.D. Systems distributes high quality inks, make-up fluids, solvents, cleaning solutions and printing equipment to companies in the manufacturing and packaging industries. I.D. 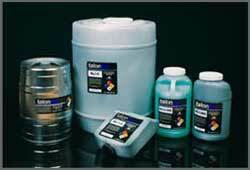 Systems offers a replacement ink for all OEM-Trident ® based printing systems.